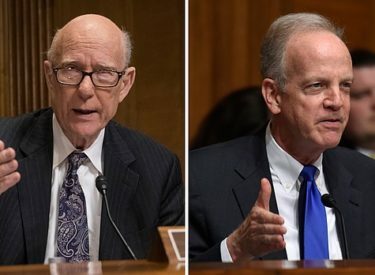 Kansas’ two Republican senators are split over a GOP plan for overhauling health care that has been shelved. Sen. Jerry Moran said Tuesday he was pleased by a delay of the Senate’s debate on the bill. He said it “missed the mark for Kansans” and did not have his support. Sen. Pat Roberts said Kansas “fared well” under the measure. Roberts said he’s open to further improvements but said Congress must pass legislation as soon as possible. Both issued statements after U.S. Senate Majority Leader Mitch McConnell announced a debate would not occur until at least next month. The GOP bill would roll back much of former President Barack Obama’s signature 2010 health care law. A congressional analysis Monday said 22 million more people would be uninsured by 2026.